HMH Books for Young Readers, 9781328966032, 12pp. 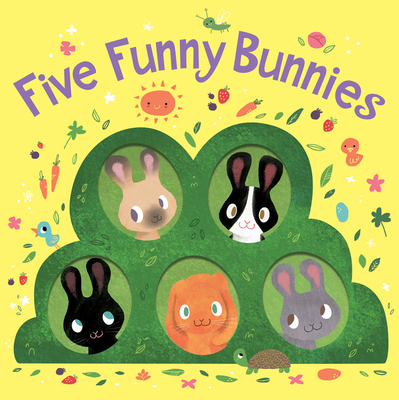 A playful peek-a-boo cover reveals five funny bunnies for preschoolers to count in every sweet scene of this board book. Perfect for Easter baskets! over the flowers and through the leaves. But only four little bunnies hop-hop over. This board book features a rhyming read-aloud text with five sparkling bunnies as they peer through a die-cut cover. Each page turn provides a playful reveal—including a starring role by the Easter Bunny. Share this with preschoolers ready to hop into reading and counting!